This article is about leaks of a Super Smash Bros. game which has been proven true; until proven correct, please post them in List of rumors. This article is about the history of leaks in Smash Bros. For the Australian smasher, see Smasher:Leak. A leak is a revelation of information about a game that has been released prematurely, especially without prior permission to release such information. While game developers go through great lengths to prevent leaks from occurring, it is very common for games to have important information leaked out before being officially revealed. Leaks can either be done intentionally via third-parties for a variety of reasons, such as increasing publicity for a game or for malicious intentions, or unintentionally via oversights that can appear in officially released media. Due to the lack of a developed infrastructure on the Internet prior to their releases, neither Super Smash Bros. nor Super Smash Bros. Melee had leaks of notable proportions prior to their release. Starting with Super Smash Bros. Brawl however, the significantly more developed Internet of the 21st century made leaks much more common, particularly in pre-release hype. A large amount of them, however, tend to be invariably sketchy, with the contents of these leaks often being radically different from what is actually in the game. The large amount of rumors that start as a result makes it very difficult to pinpoint which are actual leaks before their contents are officially confirmed; this is especially a concern with leaks that are purely text, as the modes of discourse with these kinds of posts tend to differ very little. In spite of this, a varying number of real leaks can emerge, though they have been historically met with backlash upon their initial posting, often either for being deemed too outlandish to be true or for "parroting" claims made by other posts. As stated prior, the pre-release period of Brawl began a trend in which posts regarding unrevealed content would inundate forums and message boards. Despite the massive amount of fake "leaks", there were a few real ones, from both slipups from those directly involved in Brawl and from people who managed to obtain information about the game. Upon Brawl's release in Japan in late January 2008, leaks could then be cross-checked with the actual game; actual screenshots and videos of the game provided considerable information to players outside of Japan, most of which had not yet been revealed by the DOJO!!. An image showing ChaosZero's leak on GameFAQs, and his interaction with a moderator brushing him off as a troll. Lucario, Wolf, and Sonic being newcomers. Falco, Ness, Captain Falcon, and Ganondorf returning as playable characters. He also leaked Sheik returning as a transformation of Zelda. The Stage Builder being in the game. The Dragoon being an item, and how it works. Final Destination returning as a stage. Despite leaking 100% correct information, ChaosZero was treated as a troll, and was largely derided by GameFAQs users and disbelieved in general. However, after the Dragoon item was confirmed, his reputation became more positive, and he earned the nickname "The Dragoon Prophet." Brawl having 35 playable characters (counting Pokémon Trainer, Samus/Zero Suit Samus, and Zelda/Sheik as a single character each). Olimar and Toon Link being newcomers. Captain Falcon, Ness, and Mr. Game & Watch returning as playable characters. Mega Man and Ridley not being playable characters despite being heavily speculated. Brawl being on a dual-layered disc. NyaseNya also leaked Sonic and the exact date he would be revealed on. However, like ChaosZero above, he too was treated as a troll giving false information, despite having leaked Sonic's exact reveal date. Even the moderators of Smashboards treated him as such, with Gimpyfish locking the thread and editing his original post to claim he was a liar. Marth, Ness, and Captain Falcon returning as playable characters. ShadowXOR was treated like the users above, but his information in particular was treated as absolutely false, since almost everyone believed R.O.B. to be a disconfirmed character after being shown as a Subspace enemy. On January 18, 2008, a promotional video for Super Smash Bros. Brawl on the official Wii website was posted; this video accidentally leaked hidden characters in the game. Although the video was up for the entire weekend, it wasn't until Sunday night (Monday in Japan) that a few keen-eyed users noticed something unusual. At one point in the video, a Groudon sticker is highlighted and the faces of Pikachu, Pokémon Trainer, Lucario, and Jigglypuff can be seen in the lower right corner, signifying which characters the sticker can be used to power-up in the Subspace Emissary. At another point in the video, a Claus sticker is highlighted, that showed Ness' head alongside Lucas'. This was essentially confirmation that these characters would be playable (). Additionally, many fans believed that Mewtwo's absence confirmed that it would not be playable, a belief which ultimately came true. Upon realising their mistake, however, the developers took down the video from the website. During October 2007, David Hayter, the voice actor of Snake, was interviewed. During the interview, he was asked which Brawl character he would most like to beat up, where he replied Jigglypuff, inadvertently leaking it being playable in the game. While a thread on Neoseeker covers it, the video with the interview in question is archived by YouTube user proxyXIII, in place of UltraNeko, and a channel who archived her videos, TheUltraPhoenix, with neither user's channels being up anymore. During the pre-release of SSB4, many fake leaks were widespread. The most notorious of these were the Gematsu leaks, which had thousands of followers believing them in their entirety before they were proven inaccurate by the inclusion of Robin and Lucina, and disconfirmation of Chrom, as playable characters. 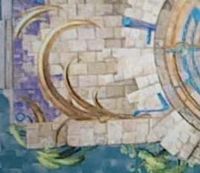 Other supposed leaks also proved popular, such as a popularly supposed leak showing Palutena as a playable character, which was later admitted to be a hoax. The largest leak during SSB4 was the ESRB leak, which, unlike the Gematsu leaks, had very few followers prior to video footage being posted and subsequently taken down by Nintendo due to copyright claims, followed by the official confirmation of Shulk, who was implicated by the leaks. The leak managed to give away a number of playable characters, stages, modes, and trophies, and is one of the largest leaks, if not the largest leak, in Smash history. 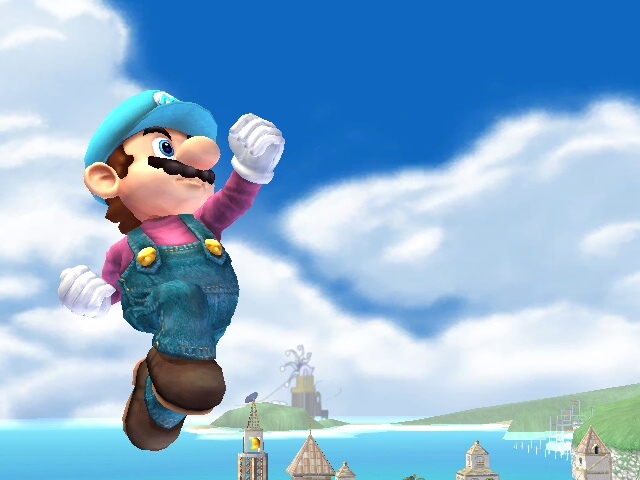 In July 2014, a supposed email from Australian classification boards, OFLC, had supposedly indirectly leaked Wario as a playable character due to his use of flatulence contributing towards the game's rating. Wario's playable appearance in the game was later confirmed by the ESRB leak. Battlefield Ω as seen in the E3 2013 Developer Direct. In the E3 2013 Developer Direct for SSB4, a clip was shown that depicted Mario and Mega Man on the Ω form of Battlefield, despite the Ω forms having not been officially revealed. However, very few people noticed it and the stage was brushed off as the regular Battlefield. The Ω forms were formally unveiled in the April 2014 Super Smash Bros. Nintendo Direct, with the Ω form of Battlefield being identical to what was seen in the Developer Direct. In early May 2014, a GameFAQs user named jiggensteins posted a topic titled "Two New Characters." in which they claimed that Lucina and Robin would be playable characters. They added that both the male and female version of Robin would be available and that they would fight using magic. In July 2014 this information was all proven to be accurate with the official reveal of Robin and Lucina. Prior to E3 2014, a Smashboards user by the name of Ninka Kiwi posted that he knew a friend who was playtesting Super Smash Bros. 4, though he did not divulge any specific information, other than Mario and Charizard having new palette swaps, with Mario in particular having a new blue costume. Later on in July, Ninka would come forward with new information, which included the following; Lucas, Wolf, the Ice Climbers, and Snake being cut, while Shulk, Dr. Mario, Dark Pit, Bowser Jr. in the Koopa Clown Car (with all seven Koopalings as alternate costumes), and the Duck Hunt Dog being new characters. While being initially disbelieved and seen as too outlandish, a friend of Ninka who gave him the information, named Shun, contacted a Smashboards user by the name of Neo Zero, who revealed to him that he got the information he revealed to Ninka from his own friend, and revealed that his friend recreated and posted two of the new palettes on imgur, before E3 2014. While this was going on, an apparently completely independent source posted a supposedly leaked newcomer list on 4chan (containing Shulk, Chorus Men, Mewtwo, Ridley, Dixie Kong, Duck Hunt Dog, and Bowser Jr.), containing the two characters unique to the, at the time, completely disbelieved Ninka leak (though this would later be confirmed as a hoax). In addition to this, a person in the Smash community known as Vaanrose came forward to Neo Zero that he knew a friend who knew someone who worked at Nintendo of America's offices in Redmond, Washington, who disclosed to him that Robin, Bowser Jr., and the Duck Hunt Dog were playable. With the screenshot proof of prior knowledge of the new palettes, and these new independent sources backing up a completely disbelieved leak, the people involved publicized this additional information legitimizing the leak in a thread on Smashboards. The release of Super Smash Bros. for Nintendo 3DS in Japan confirmed the new palette swaps and the implicated newcomers and cuts, verifying everything described by Ninka and Vaanrose, while the additions made by the 4chan variation of the leak were confirmed false. One of the most notable leaks in Super Smash Bros. history took place shortly before the Japanese release of Super Smash Bros. for Nintendo 3DS. This leak managed to reveal the entire roster of characters, including Jigglypuff, Ness, Ganondorf, Dr. Mario, Falco, Mr. Game & Watch, Wario, R.O.B., Bowser Jr., Duck Hunt, Dark Pit, and Shulk, none of whom were announced at the time. Although initially considered obviously fake by many, the leak gained momentum and popularity after several gameplay videos featuring Shulk, Bowser Jr., and Ganondorf was released and, shortly thereafter, Shulk was officially announced. YouTube video footage of these characters was shortly taken down by Nintendo of America. The leak additionally featured several photos of the content sent to ESRB, one notably featuring a trophy of the Fire Emblem character Tharja, which does not appear in the final game. Due to her revealing outfit and her trophy's omission from the game, it is believed that the trophy was cut to maintain a lower content rating. Ganondorf as seen in the video. 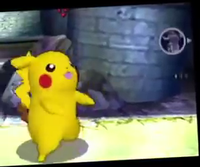 Ganondorf was accidentally shown prior to his reveal in a video posted by Nintendo on August 29th, where he can be seen offscreen while Pikachu is taunting. This same video was later re-uploaded on September 1st, except Ganondorf could no longer be seen offscreen. The original video is now unlisted. Ganondorf was mentioned on October 10th by Sakurai in his "Pic of the day" post, discussing the Home-Run Contest. At the end of the post, he remarks, "I wonder if Ganondorf gives you some advantage," despite Ganondorf having not yet been officially revealed. Ganondorf was officially revealed on October 15th, and is one of the few characters to be leaked multiple times by official material. On October 5th, 2014, the official Super Smash Bros Facebook page posted a picture recapping the pictures of the day of the past week. Alongside a picture of the Orbital Gate and the 3DS version's title screen, there was also a picture of Kirby and Pikachu riding in a mine cart in a previously unseen stage. The image was captioned as "Kirby's going for a ride in a mine cart. Well, this situation looks familiar. This stage has some rules that are rare in the Smash Bros. series." The leak was later confirmed as The Great Cave Offensive, and was revealed officially in the Super Smash Bros. for Wii U 50-Fact Extravaganza. A mode involving Master Hand and Crazy Hand was later revealed by Sakurai in a Miiverse post, and had previously been implicated by unused content found in the 3DS version. The "board game" and "creating stages" modes, however, had never been previously mentioned on Miiverse or other official material, suggesting that unknown information was still available about the game. The Super Smash Bros. for Wii U 50-Fact Extravaganza confirmed Special Orders as a mode involving challenges made by Master Hand and Crazy Hand, Smash Tour as a board game mode, and a revamped Stage Builder for the Wii U game, verifying everything implicated in the leak. Contained in the 1.0.6 update of Super Smash Bros. for Nintendo 3DS was new, unused, sound files, seemingly implicated DLC that had yet to be announced. These included, among other things, a victory fanfare "snd_bgm_Z83_F_Roy_3DS" for Roy, which was a duplicate of the existing Fire Emblem victory theme, suggesting he would also return as DLC in the same way Mewtwo did, and two files named "snd_bgm_Z81_F_Ryu_3DS" and "snd_bgm_SF01_SF2_Ryu_3DS", both named in reference to Ryu from Capcom's famous Street Fighter series of fighting games; the files contained the victory theme and Ryu's theme, respectively, from Street Fighter II. The discovery of these files was first reported by known hacker shinyquagsire23 in a reddit thread posted on April 15th, 2015, and was corroborated later that same day by known hacker crediar, who confirmed the files were not present in the game's Wii U version, and the staff of The Cutting Room Floor, a wiki that specializes in unused video game content. More unused files beyond these were present, among them being the remix used for the Dream Land stage in Super Smash Bros. and Super Smash Bros. Melee; a second Kirby theme, the Forest Stage theme from Kirby Air Ride. The presence of the Dream Land remix and another forest-themed track suggested that the stage would be future DLC as well. A piece of corroborating evidence for this was also found in Classic Mode following the 1.0.6 update, as Kirby characters would sometimes be fought on Battlefield instead of the existing Dream Land stage, with Battlefield presumably being used as an error handler for an expected but not present Kirby stage. Four days later, following the discovery of these files, shinyquagsire23 reported finding more hidden files in the game. An image of the character data was released; five unused character slots after Mewtwo are named "Mario", presumably as a placeholder for additional DLC characters. Additionally, shinyquagsire23 reported discovering changes to stage data table. The number of inaccessible stage slots had, according to the article, increased from 4 to 14; this includes the slots for Ω forms, meaning there was space for up to 7 more stages and their Ω forms. The discovery of these files suggested there were more stages planned for DLC beyond Dream Land. Despite the files being present in the update for a long time, it was not until June 13th, 2015 that they were confirmed to represent real DLC content. On that date, Random Talking Bush, an administrator of and contributor to the site The VG Resource, revealed that he had successfully downloaded the 1.0.8 update of the Japanese version of SSB4 from Nintendo's servers before it was set to release; he then proceeded to datamine its contents and post links to them on his account, showing the characters' ending videos, official art, costumes, and trophies, along with the rest of the planned DLC. Later during that day, crediar was able to test out Lucas, Ryu and Roy before their release on his own Twitch stream by editing the files to run over Mario. Videos of portions of the stream were uploaded to YouTube, but have since been taken down by Nintendo of America on copyright claims, similar to how they took down videos after the ESRB leak. All videos on major YouTube channels talking about the leak were also taken down, including those on Etika World Network and GameXplain. Roy, Ryu, Dream Land (64), and all other elements implicated as DLC was formally announced and released on June 14th, 2015. Notably, Ryu's victory theme was replaced with a remix as opposed to the direct rip from Street Fighter II present in the 1.0.6 data; also, the Forest Stage track that was found in the 3DS version would end up only being used on Dream Land (64) on the Wii U version, as the 3DS version ended up using Ice Cream Island as its alternate track instead. Several rumors regarding a Smash title for the then-unnamed Nintendo Switch pervaded in the time preceding the announcement of Super Smash Bros. Ultimate, many of them centering on the debate if the system would, assuming a Smash title was going to release, receive a port of an existing title or a completely new one. Following the game's announcement in 2018 and the release of more information in the months that followed, nearly all of them were proven false. Afterwards, however, real leaks began to emerge, ranging from minor ones, such as the premature confirmation by a former employee that Bandai Namco would return to develop the game, to much larger ones, such as the dispersion of an illegal copy of the full game two weeks prior to release, which in itself leaked several details regarding the game. On April 24th, 2018, a YouTuber by the name of "Master0fHyrule" claimed on Twitter that a source had told him that Bayonetta, Duck Hunt, and Shulk would return as playable characters for the upcoming game. On the same day, he claimed to have seen the new version of Battlefield and uploaded an image of which he described as "a small piece of it from the Top-Down view". These supposed items hinted the return of Bayonetta, Captain Falcon, Fox, Link, Marth, and Shulk as playable characters, the return of the Golden Hammer as an item, and the inclusion of greater Splatoon representation. It also supported Master0fHyrule's claims of Bayonetta and Shulk returning. In addition to the display items, GU KingofHeart also uploaded an image of what he claimed was the center of the new Battlefield. The image lined up with Master0fHyrule's previous image. All of the uploaded videos and tweets were deleted soon after they were posted. Discussion of the two leaks mostly remained within ResetEra and SmashBoards. On June 12th, 2018, Nintendo's E3 2018 event officially began. A new trailer for the previously untitled Super Smash Bros. Ultimate was demonstrated. In the trailer, the new Battlefield was revealed and officially confirmed both Master0fHyrule and GU KingofHearts' leaked images as legitimate. The trailer also confirmed that every previous Smash character would return, confirming the leaked characters in the process. At Nintendo's booth, all of the display items leaked by GU KingofHearts' source were confirmed to be real. On May 9th, 2018, a former software engineer and graphics programmer for Bandai Namco named Tiago Sonobe stated on Twitter that after his August 2016 departure from the company, work had begun on a new Super Smash Bros. game using the in-house rendering engine which Sonobe had developed. Following the spread of the tweet, Sonobe's Twitter account was entirely deleted. All previous characters will return. Daisy and Ridley are newcomers. Bomberman will be an Assist Trophy. Title is Super Smash Bros. Ultimate. Release date is December 7, 2018. Clone characters receive an icon next to their name (later revealed to be indicating Echo Fighters). As with many Brawl leaks, the leaker was considered a troll and mocked for their claims. During the E3 2018 Nintendo Direct, his information was confirmed mainly factual. The leak made a few notable errors, such as claiming that Lucas was an Echo Fighter, that Inkling's Final Smash would be a Squid Sisters concert which would cause the screen to zoom in, and that all stages would have a Final Destination and Ω form (which are the same thing). In reality, Lucas is treated as a fully separate character from Ness, the Squid Sisters were revealed to be an Assist Trophy with the same function while Inkling's Final Smash was confirmed to be Killer Wail, and it was confirmed that stages would have both a Ω form and a Battlefield form. However, given that the rest of the information was correct, as well as the fact that the same user correctly predicted the title and gameplay style of Super Mario Party, another game featured in E3 2018, it is likely these errors were made from misinterpretation or assumption rather than being evidence of a false leak. Inkling's ability to recharge ink and her special moves being Super Jump, Splattershot (albeit referred as "Tentatek Attack"), and Splat Bomb (albeit referred as "Bomb Attack"). Ganondorf's outfit is based off of Ocarina of Time and his up smash changed from a kick to a sword attack. Zelda's outfit is based off A Link Between Worlds. Link's moveset is almost unchanged, but the Bombs from Twilight Princess are replaced with Remote Bombs from Breath of the Wild. Two days after the E3 reveal, he made another claim about an August Nintendo Direct. Although a Super Smash Bros.-themed Nintendo Direct was confirmed for August 8th, the rest of his information was proven inaccurate to various degrees. 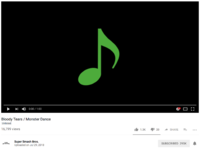 The night of August 7th, 2018, close to the airing of the Super Smash Bros. Ultimate-centered Nintendo Direct the following morning, the YouTube video for the Galaga Medley on Nintendo's Super Smash Bros. channel that was previously confirmed the week prior was renamed to "Bloody Tears / Monster Dance", both of which are tracks from Castlevania II: Simon's Quest. It was later properly renamed back to "Galaga Medley". Following the Direct, which announced Simon and Richter as new playable characters from the Castlevania series, "Bloody Tears / Monster Dance" was properly uploaded to the website. Due to this incident, all the music previews were renamed to numbers, with each new upload incrementing by one. Shortly after the August 2018 Smash Direct, Twitter user NoctuleScent made a twitter thread documenting his attempt at deciphering the name of an unannounced mode, shown in the Direct as part of Ultimate's menu, hidden behind a pixelated blur filter and to be revealed at a later date. The tweet claims that the mode's name is "Spirits", discovered thanks to a "mistake from the editing team", in which parts of the name can be seen for 2 frames as the menu zooms away from deselecting Smash mode. Another tweet shows the name with both frames juxtaposed with image editing software for better clarity. This was corroborated by another Twitter user, Joe Pines. Shortly after the original tweet, another one from the original user explains that the same method can be used for the Japanese version of the Direct, revealing a direct translation of "Spirits" in katakana (スピリッツ, Spirits). Another tweet claims that the logo above the name resembles a magatama, an item often associated with spirits, further drawing a connection to the name. In the Super Smash Bros. Direct on November 1st, 2018, the formerly unknown mode was revealed as "Spirits", confirming the leak. The September 16 issue of CoroCoro, a Japanese magazine, showed information on Super Smash Bros. Ultimate. What was shown was mostly a retread of what was already seen in the August 2018 Smash Direct. One of the Direct's highlights was the number of stages getting revealed, which was 103. The magazine, on the other hand, stated that the number of stages would be 108. While this could be assumed as a printing error, many users have noticed how this number perfectly matches with the image of the Stage Selection Screen that was shown in the aforementioned Direct, which has room for six more spots, the last of which could be for DLC stages. The October issue of CoroCoro dropped the stage count back to 103. It is unknown if the September issue's count was a misprint or something that they were not allowed to reveal, although it should be noted that there are 5 stages planned for DLC, which brings the stage count to 108.
using Pikachu and Ryu instead of Pichu and Ken. On September 21st, 2018, an anonymous 4Chan user posted a cropped screenshot of what could possibly be a leak of Ken Masters from the Street Fighter series on Moray Towers. Later, the user uploaded the full screenshot to the same thread, showing off Pichu, Ivysaur, and Pac-Man taunting alongside Ken on the Moray Towers stage. Allegedly, Ken's model is not a port of another game, but a new model altogether. Some users have pointed out that the portrait of Pichu has its ear cut off, which actually matches up with the E3 reveal trailer. Another point is that Ken is partially standing on a metal surface where his shadow doesn't even appear under his foot, leading to an error. Smashboards user DJ3DS recreated the shot in the demo build with Pikachu and Ryu instead of Pichu and Ken; the shadow is missing from the metal surface in the demo build, meaning that the error in the leak does in fact exist in the game. Ken was announced on the November 1st Super Smash Bros. Ultimate Direct, with his model and render matching with the one in the photo. On September 24th, 2018, an anonymous 4chan user made a thread claiming that the final three newcomers in Ultimate would be Incineroar, Ken (as an Echo Fighter based on Ryu), and Piranha Plant. They also elaborated on Piranha Plant's playstyle, saying that it would be in a vehicle of some sort in a similar vein to Bowser Jr.
On November 1st, 2018, Incineroar, Ken, and Piranha Plant were confirmed to be playable fighters in the final pre-launch Super Smash Bros. Ultimate Direct. 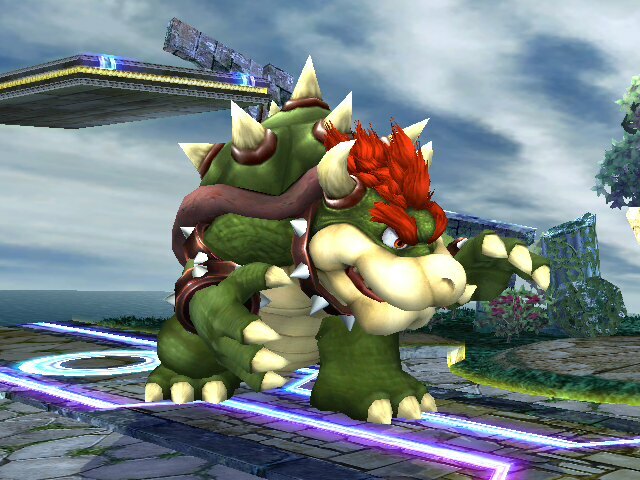 However, while the 4chan user's assertion that Ken would be a Ryu Echo Fighter was correct, their claim that Piranha Plant used a vehicle was proven to be inaccurate, with it instead being in a pot or Warp Pipe (depending on the costume selected) and walking on its roots which extend from the bottom of its vessel. The item, seen in the trailer. On October 26th, 2018, Nintendo of America uploaded a video onto Twitter showcasing and promoting their Wendy's College Tailgate Tour, with several clips of full gameplay intertwined with demo gameplay. 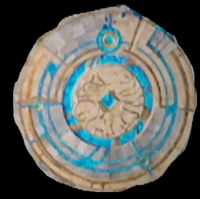 For a split second, on Mute City, a circular unrevealed item with a stem and two leaves could be seen; fans quickly took notice that this item bore a strong resemblance to the Growth Psynergy from Golden Sun: Dark Dawn. The item was revealed to be Healing Sprout on November 1st, 2018, a new item unrelated to Growth Psynergy. However, Isaac was confirmed on the same day to return as an Assist Trophy, meaning that Golden Sun representation returned nonetheless. The existence of Dharkon and The Dark Realm were leaked, as well as the appearances of Crazy Hand, Marx, Ganon as bosses of The Dark Realm (along with the previously revealed Dracula). A majority of the music tracks present in Ultimate were leaked, and several YouTube channels that had uploaded the music were taken down (such as Crunchii, a channel that Nintendo had previously trusted to release a short loop of the Menu theme from the E3 2018 demo). All of the base game spirits were leaked as well, with Camilla’s and Mythra’s spirits being shown for the first time in a censored artwork. The functionality of Squad Strike was shown off after months of speculation after what it would be (despite the mode being revealed during a Nintendo Direct, many fans were split on how the mode worked). The character select screen with Echo Fighters stacked was first shown off in the early release leaks. It was also shown that the stacked option will not affect singleplayer modes or Squad Strike. The exact parameters of every character’s attributes and movesets were made public, including a beta version of Piranha Plant’s, showing it to formerly be the slowest character in the game. Image that leaked the Pokémon Trainer and Snake amiibo. On January 25th, 2019, a image of unreleased amiibo surfaced online, in which the Pokémon Trainer and Solid Snake amiibo were shown. The original photo was found on an amiibo Discord server. 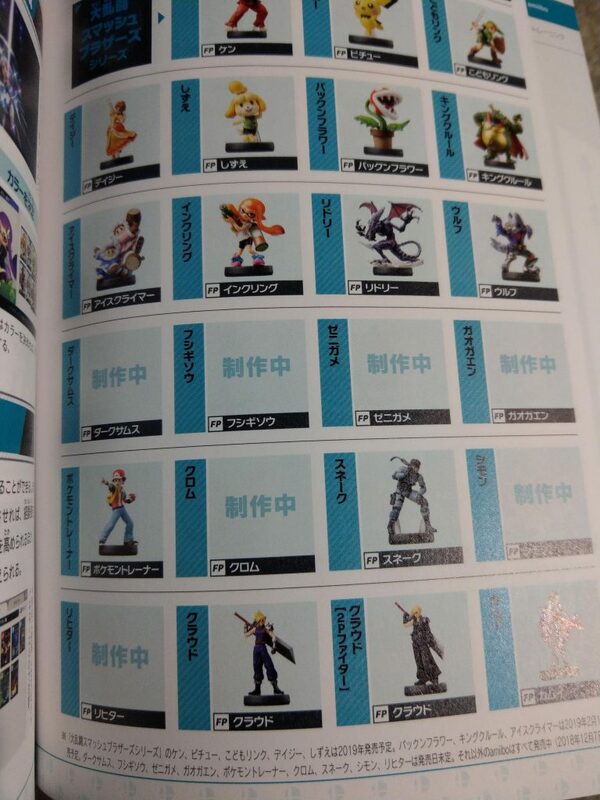 Before this leak, the two amiibo were not officially shown by Nintendo. The leak also showed placeholder names for characters that didn’t have their amiibo announced, those characters being Squirtle, Ivysaur, Chrom, Dark Samus, Simon Belmont, and Richter Belmont. This image was in fact came from the official Super Smash Bros. Ultimate guide that was released in Japan, one day before the leaked image went online. The next day, a full image of the page was shared to NintendoWire, confirming the image's origin, which also has a placeholder name for Incineroar amiibo. The Pokémon Trainer and Snake amiibo, in addition to Squirtle, Ivysaur, and Simon Belmont amiibo were first officially shown off during the Nintendo Direct presentation on February 13, 2019. A full image of the page containing the leaked image. On March 31, 2019, Best Buy published a weekly ad about the Fighters Pass featuring a render of Joker, creating speculation that Joker's release date and/or gameplay reveal will be at or around the first week of April. On April 1, 2019, the page was edited to replace the ad for Ultimate with a fast store pickup ad, thus removing Joker's render alongside it. This spread further speculation that it was his still unrevealed official artwork for the game. 2 weeks later on April 16, Nintendo of Europe's databases added the image of the full render of Joker. That same date, Nintendo released information through a video that Joker would be released the following day, April 17, and fully confirmed the legitimacy of Joker's render. The frame in the trailer that leaked Stage Builder. On April 9th, 2019, Nintendo uploaded an ad related to Ultimate; fans quickly noticed that a mere one second in, a "Stage Builder" option could be seen under "Games and More" on the menu. This seemed to imply that one of the new modes to be added in the 3.0.0 update was going to be a Stage Builder mode, seen previously in Brawl and Smash 4, but notably absent in Ultimate. This was further supported by the Nintendo Direct aired on February 13th, 2019, which showcased a blurred out image of what was believed to be Stage Builder. Stage Builder would later be officially confirmed in a special presentation video about version 3.0.0 on April 16, 2019. This page was last edited on April 19, 2019, at 22:24.